Our cardamom (elaichi in Hindi) is of the Elettaria variety which is harvested 5 times a year. The cardamom is dried in local processing plants after which it is graded according to quality, which means, mostly, by its appearance. 1st grade are large pods, 9+ mm in size with a uniform green colour. 2nd grade are slightly smaller at 7-8 mm, marginally less uniform in colour, but with similar taste. 3rd grade are very small pods, broken pods or pods that contain a lower proportion of black seeds. Our standard cardamom packs are 2nd grade pods because these, compared with 1st grade pods, are more economical, always available, and have the same great taste. It is not a coincidence that the location of spicekada.in is called the Cardamom Hills. It is the prime location for growing cardamom. Our cardamom stock is always locally grown around Kumily Town. 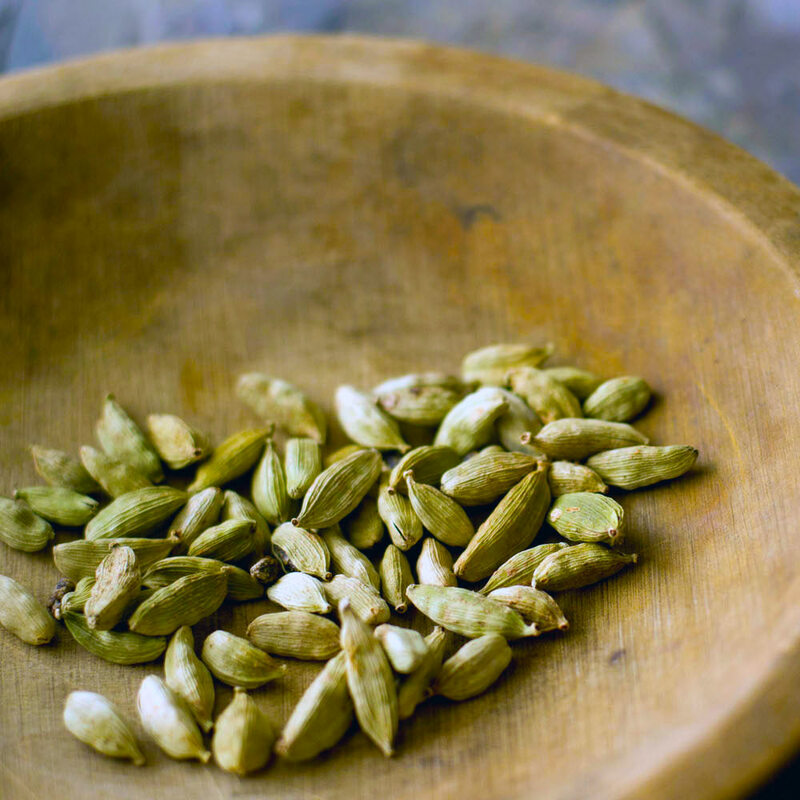 Cardamom should be stored in an airtight container in a dark, cool place, but not in a refrigerator. After a year, the pods will begin to lose their flavour. For inspiration, information and entertainment, you may want to check some of the links below.